A male horse fly (Tabanidae) feeding on goldenrod. 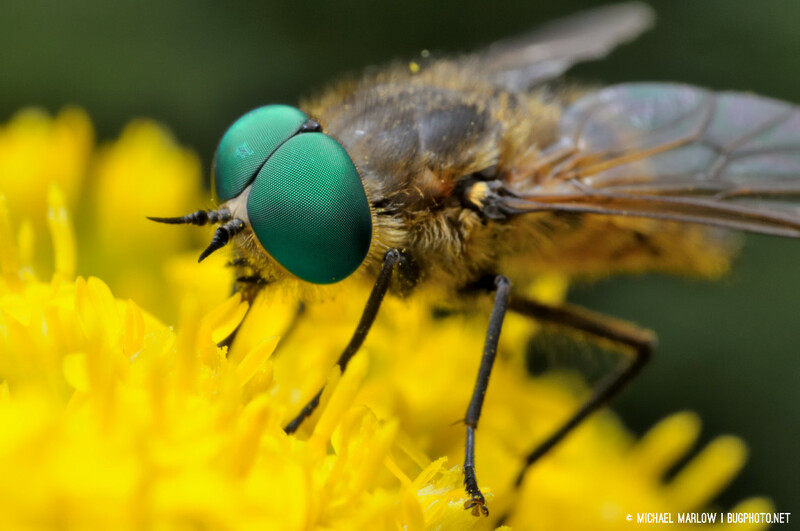 Closer view of male horse fly on goldenrod. 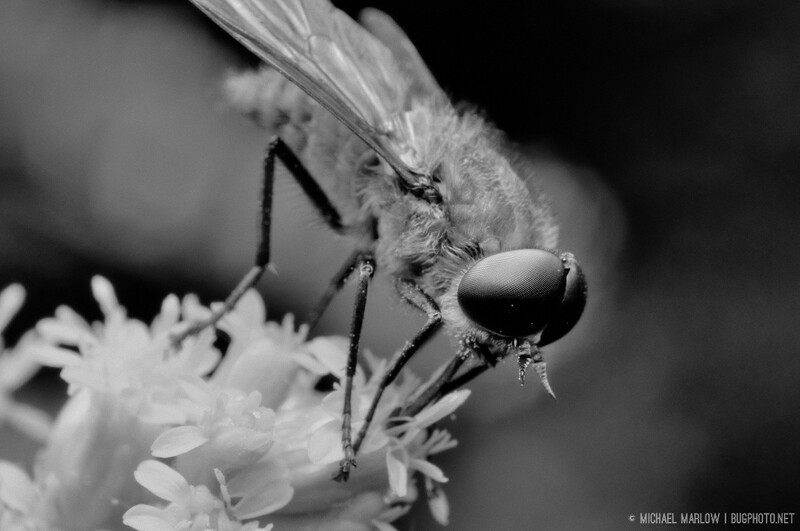 Posted in DipteraTagged black and white photography, goldenrod, green, horse fly, insect photography, Macro Photography, macrophotography, monochrome, TabanidaeBookmark the permalink. Nice shots and interesting info on male/female.